Funny how certain industries sometimes have their own meaning for words. In the handbag industry “embossed” means that the handbag has been given a certain type of embellishment or texture (which is the more common everyday meaning). Embossing can really add a fashionable stylish appeal to a handbag and many other items. Embossed handbags are a very common feature of every brand of handbags or purse. 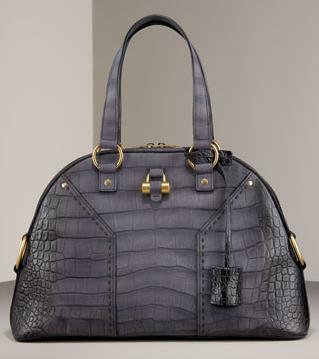 You may have heard crocodile embossed or alligator embossed which means the material that was used to create the handbag was pressed real hard (with a machine of course) until it made an impression on the surface giving it the look and feel of the skin of a particular animal. 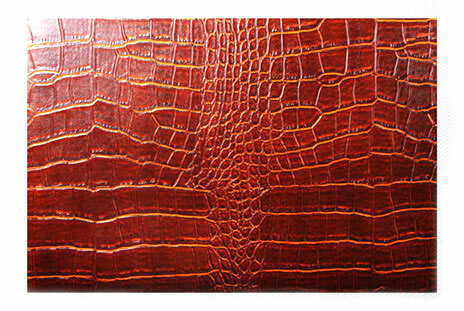 The digital automated embossing machines also use heat to create the raised texture. Most common are alligator and crocodile, but sometimes you see many other animals. This manufacturing process is animal-friendly because embossing is typically done on synthetic man-made materials, but is also done on real leathers as well, like buffalo leather, cowhide leather and the like. Hope you enjoyed this quick tutorial. Thanks so much. CategoryAlligator handbag Information What is?